When trying to determine whether or not you can afford a car, you’ve got to take more into account than your monthly payments. It’s important to know that, while there is no avoiding the costs associated with car ownership, there is a lot that you can do to reduce these expenses overall. “It’s important not to overextend yourself by “buying too much car” and taking on sizeable auto debt. 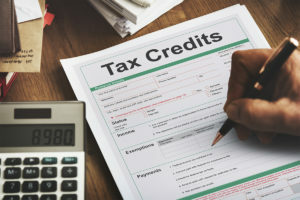 By the same token, you need to incorporate car expenses in your budget, so that you can manage them effectively,” says Jeff Schwartz, executive director, Consolidated Credit Counseling Services of Canada. “Include a line item in your monthly budget where you allocate funds to car expenses, including savings for repairs. Repairs don’t tend to be a monthly obligation, but usually come with a hefty price tag. Put the money away so that you don’t have to turn to credit,” says Schwartz. Always, always shop around for insurance. Different insurance companies have different ways and criteria to determine what your premiums are. Comparison shop at least three. As premiums are based largely on risk, there is a lot that you can do to reduce your risk and reduce your premiums. For starters, commit to being a good driver. Safe drivers without traffic infractions or accidents pay lower premiums. Consider installing an after-market alarm system for an additional discount. If you are a new driver, you can get a discount if you complete a Ministry of Transportation approved driver’s education course. Buy used instead of new. Not only will you pay less to bring the car home, some used cars are cheaper to insure than new ones. 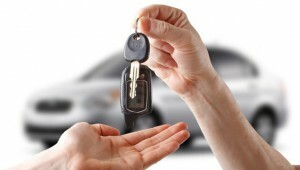 If you are in the market looking for a car, it’s best to shop around and compare how much it will cost to insure as well. Another way to reduce your insurance premiums is to increase your deductible (the deductible is the amount that you need to pay out to your insurance company should you need to make a claim). Look for greater discounts by bundling with your home or tenant’s insurance. Ask for loyalty or association discounts (auto club, school, industry group, etc.). You don’t ask, you don’t get! Feel the pinch at the pump every time you gas up? Here are some helpful hints on how you can ease the pain in your wallet. When you are sticking to a tight budget, planning is essential and that is especially true when it comes to driving and gas consumption. Plan your errands so that you can limit yourself to one trip a week and try to centralize your shopping as much as possible. Research gas prices in your town and locate local savings spots. Don’t drive across town to fill up though, as it will actually cost you more money instead of saving it. If your daily commute eats up most of your gas, look at carpooling, or consider travelling to work during off-peak hours, which will consume less gas. Keeping your car in good shape will make your gas use more efficient. Make sure your car tires are properly inflated and you follow your car manufacturer’s recommended oil changes . Preventative maintenance can go a long way in minimizing expensive car repairs. Some of your car’s components will deteriorate faster than others, so your best bet is to keep track with a list and to keep aware which parts are coming towards the end of their life cycle. Sometimes it’s cheaper to replace them as you go, than having a multiple system failure all at once. Did emergency car repairs make you turn to credit? Have you been struggling to pay it off? Developing a plan to pay down your debts will get you rolling on the road to financial freedom. Call us at 1-888-294-3130 or get going on your own with our debt analysis.